At their best, pop stars turn the personal into the populist — they make songs for everyone, not for themselves, even if the inspiration comes from inside. 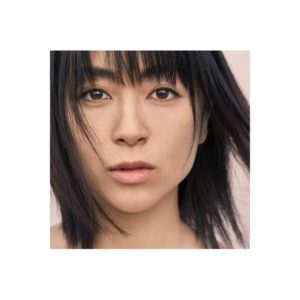 Hikaru Utada’s 2016 comeback album Fantome stands as one of the 2010s most fascinating album, wrestling with loss and maturity in a way few albums do. Its raw, and kind of a mess — but then again, that sums up becoming an adult too. But it’s unlike anything else in her catalog. 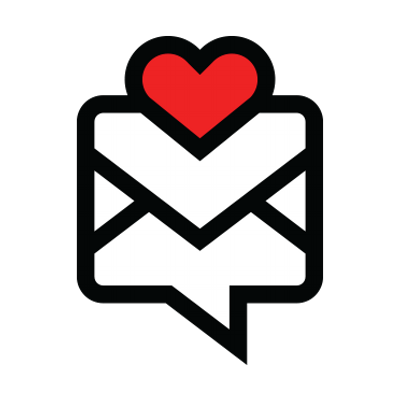 Hatsukoi wrangles those same feelings and turns them into songs built for everyone. Personal pain and loss gets synthesized into something accessible to everyone, whether on skippy numbers such “Play A Love Song” or more baroque meditations such as “Forevermore.” There’s both an old-school feel to how this longplayer has been constructed — it isn’t available on any streaming service, and that might be OK as it’s the rare 2018 offering that works best front to back, rather than deconstructed — but one also featuring “Too Proud,” one of the most experimental numbers you can hope on a proper marquee J-pop release in 2018. And in one final flourish, Hatsukoi interacts with Utada’s own past, playfully building a bridge to her debut First Love and offering an update. Turns out life remains just as tricky 20 years on, but it can all be made a little easier to navigate when someone like Utada gives you the soundtrack for getting through it. Ominous synth notes crash into samples of YouTubers introducing their gardens. Swords being unsheathed and boots slogging through mud (maybe?) make way for children’s voices and twinkling keyboard notes. Lasers summon electric guitar chugs and skittering percussion. No album did the dizzying collage thing better than vs o​.​t​.​O​.​g​.​I, an album that’s best summed up trying to make sense of its bumper-car approach to noise. Snippets of voices — from online uploads, to pop songs, to the Wilhem scream — collide with a backlot’s worth of noises: lasers, strings, horror movie hits, slime. It’s equal parts terrifying and funny as hell, and always a treat to just soak in. Get it here, or listen below. History haunts the corners of The Dream My Bones Dream. 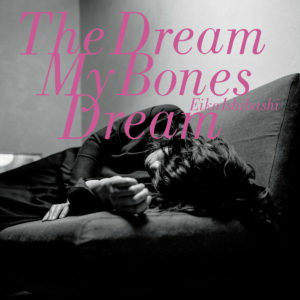 Not to retread my review of Eiko Ishibashi’s latest album too much, but it’s a set inspired by her desire to explore her family’s history in China during Japan’s colonial period, one drawing percussive inspiration from trains, and highlighting both the faded memories of nostalgia and the more ruptured investigations glances into the past (especially during particularly dark times in your country’s history). Besides being a particularly interesting investigation of history at a time of easy nostalgia, it’s also Ishibashi learning from the entirety of her career to construct a highlight in her catalog moving from refined numbers to chaos. Get it here, or listen below. I talked to multiple foundational artists for this feature on Japan’s ever-mutating juke and footwork community, and everyone said one common thing: Oyubi is the future. The young producer spent all of 2018 making those old heads look right on, releasing tracks and collections highlighting their take on the Chicago-born style. It’s these three EPs, though, offering the most coherent glimpse into Oyubi’s world. My Fingers grabbed our attention early on, featuring tracks seemingly moving in zero-g, warping big-scale field raves into footwork delights and offering up something downright end-of-times-ish via highlight “Ness!,” a rush of smeared synths and relentless beats. Burn Up More featured space to highlight Oyubi’s more traditionalist take on Chicago sound — vocal samples sliced, diced and repeated to delirium — while still making room for something like “People Around Da World,” fleet-footed release. Digital Bubblebath closes the trilogy out with more warped takes on the style, swerving between the familiar and the experimental. Even if Oyubi hadn’t gotten the thumbs up from…well, everybody…this would have been a breakout year. Click the links above, or listen below. A familiar number opens up Petit Petit Petit, but one that has been transformed into something different. “Lemonade” first appeared on Zombie-Chang’s Zombie-Change as a dizzy and somewhat damaged synth-pop number sounding like it was recorded in a closet. But in 2018, she’s beefed the tune up, enlisting a band and putting a better-quality microphone closer to her mouth. The unnerving details remain — check the keyboard melody, soak in those vocal samples — but it’s a whole new angle on the tune. Neither is better than the other, but rather both show how much space in her music exists to play around with. 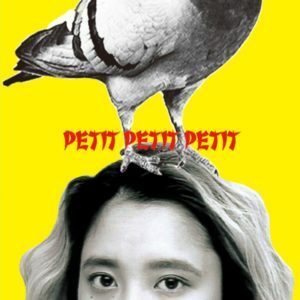 That’s a good way to look at all of Petit, a set that finds Zombie-Chang re-tooling her sound via a traditional rock band set-up but still retaining her offbeat approach to pop. She’s operated in many moods, but all of her work has benefitted from a certain throwback goofiness inspired heavily by early 1980s new wave and techno-pop. See the silly backing vocals and general verbal tumbling she manages on “Mona Lisa,” or the harried tempo of “Nanka Mukatsuku,” which always feels a second away from collapsing into a pile. Last year, Zombie-Chang teased something more mainstream, but on Petit she swings back towards off-kilter and playful, though flashes remain courtesy of the sweet “Ai No Seide” and career-highlight-thus-far “We Should Kiss.” But whichever way she goes, it’s all Zombie-Chang, exploring everything she’s capable of for all to hear. J-pop isn’t an industry conducive to artistic freedom. Since its start — before J-pop was even a term to throw around — Japan’s pop world has worked closely with advertisers to craft songs, and its rare for a single person to gain headway to do what they want. Hardly unique to Japan — probably getting worse, globally! but maybe I’m just cynical — but it’s something worth keeping in the back of your noggin when dealing with this music. Kobe’s Tofubeats has been wrestling with this tension since the start of the decade, releasing music on a major label while still trying to keep true to his netlabel-wonk origins. For the most part, I’d say he’s succeeded, but having interviewed him multiple times I also have gotten the sense that finding that balance hasn’t been easy. Run offers something rare for any artist working at this high a level in J-pop, let alone one who has come up mainly as a producer: something resembling freedom. 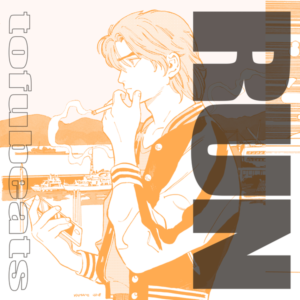 This album features no guests, just Tofubeats laying down thick acid-house rave-outs (“Bullet Trn,” “You Make Me Acid,” a song that has been floating around for years but here reaches its out-of-body peak), Auto-tune-washed rap (the title track) and melting R&B electro-ballads (“Sometimes”). Nothing can be totally independent in J-pop, so one tie-up song still comes through via “Immortal Love,” the theme song for a drama, but which ends up being such a dizzying and joyous bit of pop the idea of this being approved by a boardroom doesn’t faze. There’s something approaching a nod to his old alias DJ Newtown on “Newtown,” and it all climaxes with a…fragile ballad-turned-fireworks-display in the style of Utada or Bonnie Pink? Whatever Run is, it’s all Tofubeats, and a triumph for him personally. I could spend another paragraph yammering about nostalgia; about how AOTQ subverted both the idea of muzak and vaporwave by creating an album of what kinda boils down to elevator music but without any of the baggage coming with an internet micro-genre; about online in 2018; about Local Visions (but still, one more album from them to go! ); even just about chill beats in general this year. But really, let’s just go to the numbers — mainly, the fact that these two albums are probably up there among my most played this year because of just how chill they are, which is a welcome attribute when working. 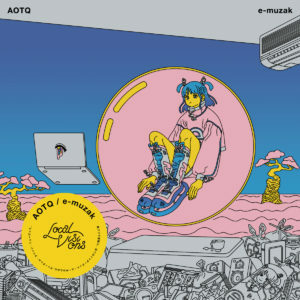 It’s more than just that, as AOTQ turns a bubbly synthesizer notes and skittering machine beats into a surprisingly diverse sonic palette. AOTQ wrings so many different ideas from this setup, and I doubt they’re done. Get E-muzak and Alone, or listen below. 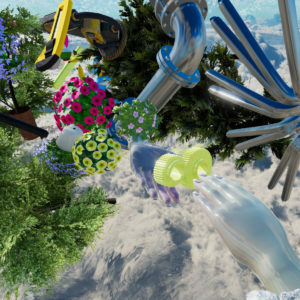 When Kudo Kamome dropped Trypophobia Experiments near the end of January, it felt like another solid entry from an artist playing around with pop structure. Bells chimed off and synth notes bent in all sorts of directions, all while Kamome’s voice fluttered and flexed over the often disorienting sounds. Sonic trends from across the globe blended together to create something deeply intriguing. Who knew what direction she would go in next? Welp, turned out to be a big one. Apple Sleep, released in late November, built on those earlier experiments to deliver Kamome’s masterpiece of shape-shifting pop, with a little help from a variety of other artists providing touches. That same unsteady, at-times-sea-sick vibe carried over to opener “Mellow Old” and “Waltz 4 Step,” but everything felt just a bit more sewn together, each syllable and drum-machine kick falling in just the right place. “Down” turned a lo-fi-hip-hop-beats-to-study-to vibe into dream pop intoxication, while “Honeycombing” flipped trap into unnerving spoken-word drilling (what if Phew came up in…Atlanta?). At 21 minutes, Apple Sleep wastes no time, and when coupled with Trypophobia reveals that Kamome had a banner year for pop experimentation. Click the links above, or listen below. Centuries from now, when aliens plunge into the planet-wide oceans that have consumed mankind to try to make sense of the civilization that used to call this dim blue star home, they’ll hopefully encounter a DVD or thumbnail or something containing Da Pump’s “U.S.A.” and they’ll wonder…this was a hit??? That thought went through plenty of minds in 2018, a year where the odds of a kinda tossed-off semi-cover of a 1992 Eurobeat number did the shoot dance on the zeitgeist. I’m not going to evangelize that it’s a good song, but it’s an awesome song, and what it represents in particular is especially welcome in an era of fakeness. What “U.S.A.” has also done is touch into a nostalgia for a certain kind of Heisei artifact that easily could have been lost, and also pushed “dasai” into coolness, to the point where things written off as trash are about to be trendy again. Nikkei Trendy magazine is predicting “dad shoes” that look straight from 1993 being hip in 2019. That won’t be the last. So I hope those visitors from the stars also come across Bye Bye Teens Lullaby, the first case of all this “dasai” culture retrofitting resulting in an absolutely charming and banging pop album. This came out at the very end of November but has been in heavy rotation at Make Believe Melodies’ headquarters since, locked in from the opening Eurobeat rush of “Tiger Fire Cyber Fighter” and just hooked when “Dancing Like A Snail” rolls out record scratches alongside tongue-in-cheek keyboard melodies. This is like if Boogie Idol was allowed to curate an idol group, or Especia shifted to the ’90s before they became too on-point with the vaporwave stuff. Part of its success comes from the simple elevation of disposable sounds into something captivating, while it also gets points coming from Koto, an idol who seemed like another post-BiS claim jumper who now has delivered an album miles more creative and downright fun than other “alternative idols,” who spent 2018 continuing to dwell in dark and dank places. But Bye Bye burbles over with joy, from the pulsing “Dead Or Kawaii” to the rubbery rock-funk of “Midnight Houdai” to the endearing goofballery of “Lonely Kong,” which is about exactly what you think it is. And really, it just slaps from front to back. Here’s how you honor an era — and propel forward. 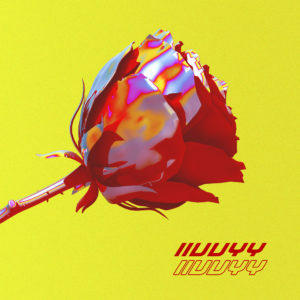 By the end of 2018, Iivvyy were popping up in OVO Sound Radio episodes and working with Hikaru Utada on a remix of “Too Proud.” But before any of that, this project found the perfect meeting place between two artists who had made plenty of great music on their own, but gained immense energy as one. Iivvyy tightropes between the spiky, metallic future bass of HVNS and the neon-soaked electro-pop of Kosmo Kat, the end result being steely techno with an intimidating side bolstered by warped vocal samples that give these tracks an upbeat energy. It’s icy and sweltering all at once, both artists’ styles mixed just right into the most exhilarating and fresh dance music out of Japan this year. And as the end of the year showed, plenty are listening. Get it here, or listen below.